Spacewalking astronauts gave a hand to the International Space Station’s big robot arm Tuesday. Because of the lingering effects of the government shutdown, the spacewalk got started in the morning without live coverage on NASA TV. 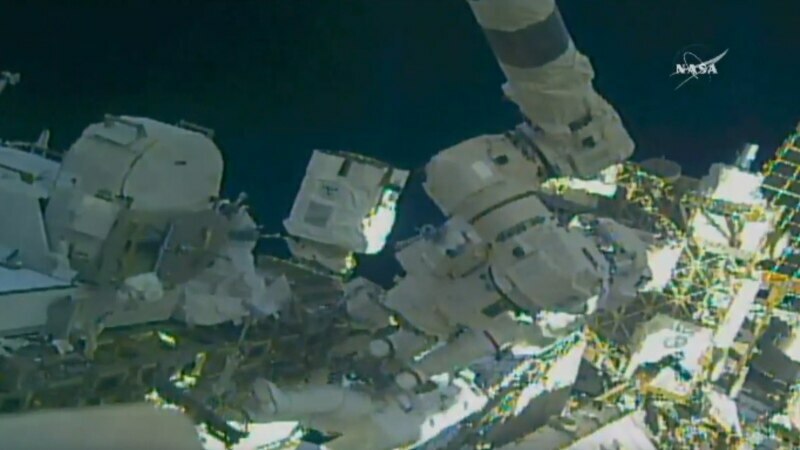 An on-air message simply stated: “We regret the inconvenience.” Nearly an hour into the spacewalk, however, NASA TV came alive and began broadcasting the event with typical blow-by-blow commentary.